Home » Weight Loss » Do Body Wraps Work? Life has never been a ‘quick fix’, and as soon as gullible individuals realize that there is no real safe and certain way of losing weight rapidly, the better the world will be. Marketing of quick fix solutions went into overdrive over the last ten years, particularly with the advent of some of the outrageous diet and weight plans ever seen. It could be said that the government and other bodies such as the FDA, do not impose strong enough restrictions, and that products can slip through the net with the largest of loopholes as regulations are just not tight enough. By the time some caring individual manages to be heard and get these kind of scams shut down, the perpetrators have already shut down and moved on to their next project claiming to be the latest ‘miracle’. The weight loss industry is a multi-million dollar business, especially when combined with the luxury element of spa treatments. Combine these two popular trades and you’ll find no shortage of customers who are ripe for exploitation, and few practices are quite so unabashedly abusive as the latest fad that is sweeping the nation; body wraps. So Just What Are Body Wraps? Body wraps are actually nothing new, having been established since the 1970s, but the idea appears to be gathering steam at a rate of knots in recent times. Essentially pieces of cloth or film that are, unsurprisingly, wrapped around the body in the style of a bandage or girdle, those that sell these items make scientifically dubious claims that the products aid in the loss of weight around the waist, remove cellulite and tone up aging or sagging skin. Perhaps the most famous example on the market is It Wraps, a product created by It Works, which promises to provide a homeopathic blend of botanical ingredients that soak into the skin. According to It Wraps, keep up this impression of a chicken drumstick for 72 hours and you’ll shed pounds and find your tummy toned and skin looking younger than ever – all for the bargain price of just $59! Does this all sound too good to be true? Well, there’s a reason for that. Firstly, the small print contains a disclaimer that, “Wrap results will vary by individual and are not guaranteed”, which is a curious standpoint for a company that confidently calls itself It Works. The use of the word ‘magic’ within their product description also tells its own story. We are going all out and saying it – body wraps are a scam. This is a shame, as an increasing number of brands are joining It Works in leaping upon this opportunity to prey upon the insecure, including Her Room and Marena, as are luxury spas up and down the country (and the rest of the world). Body wraps can undeniably make somebody feel great in the moment, especially when indulged in during a spa day, but that has nothing to do with the alleged medical and scientific advances of what is essentially a plain bandage. Let’s do a little experiment. Place yourself in a comfortable seat in a warm room, dim the lights and light some candles, play some relaxing music and release some pleasant scents. Once you’ve completed this process, get on the scales and see if you have lost any weight. Then, the following week, repeat the experience (it’s OK, you deserve some pampering! ), but on this occasion wrap a linen sheet or some kind of condensed covering tightly around your waist. Feel free to spray some essential oils onto the cloth first, or rub on some coconut oil – that’s essential, according to sales pitch. If you find that the results have varied, it will be extremely temporary – body wraps are basically overpriced ways to get you to dehydrate, overheat and sweat off some weight in the extreme short term. This is why the home kits always claim that regular intake of water is an essential part of the process, while many them also recommend clean eating, and regular exercise. Basically, you’re paying significant sums of money for advice that is given for free on literally thousands of internet websites. Spa treatments are arguably an even bigger swindle, charging up to three times the price of a home kit for the same lack of results and indulging in some shady business practices – as this experiment conducted by volunteers for Good Morning America will testify. Even moving aside from weight loss for a moment, there is no proof whatsoever that body wraps can live up to claims that they smooth skin, remove cellulite and detox your internal organs. The only ‘experts’ to make such claims are the nameless, faceless associates of the companies peddling these snake oil treatments (the results of which will vary by individual and are not guaranteed, lest we forget). On the other side of the coin, however, esteemed dermatologists are lining up to explain that these claims are pure fantasy, while this bizarre fad even makes its way onto medical debunking website Quackwatch. Now, lets move onto the fact that some of the wraps being sold online will contain no shortage of fragrance – all part of the experience, no doubt. Given that a federal loophole in the sale of cosmetics states that ‘fragrance’ is acceptable as an ingredient and no elaboration is legally required, you could be applying all kinds of unpleasantness to your body, including a number of harmful parabens and phthalates, which you will be allowing to seep straight into your skin and bloodstream. That’s right; at best, body wraps do nothing, and at worst they are potentially damaging to your health. The fact that some of these suppliers brand their wraps as ‘supplements’, which ensures they stay clear of investigation from the FDA and will not be forced to substantiate these claims of weight loss, should set warning bells clanging for anybody, no matter how desperate they are to shed those last five pounds. 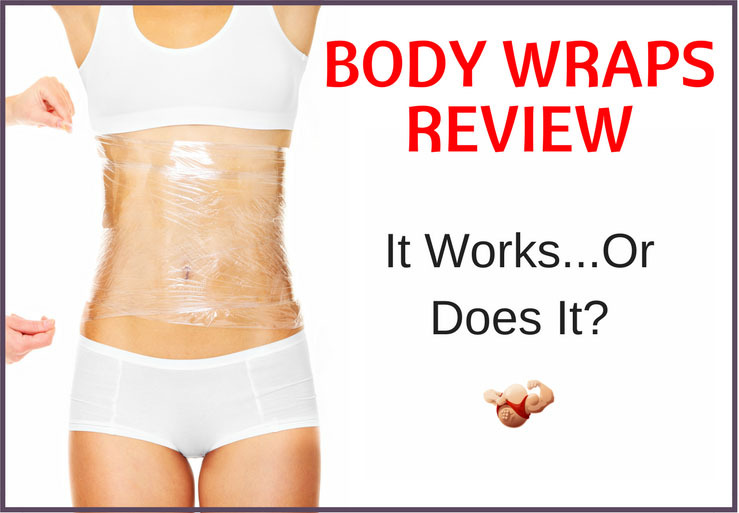 Desperation calls for desperate measures, and body wraps certainly fall into that category. The equally sad thing is, that frequently well-known celebrities will attach themselves to a particular product, claiming it is ‘one of their secrets’ or ‘how I did this in only 7 days’ with glorious photographs of ‘before and after’, which are undoubtedly ‘touch ups’ in order to display the body beautiful. Of course, the fact that they earn millions of dollars out of it is no coincidence. Who's To Blame When It Doesn't Work? You. Now, we’d like to go back to the It Wraps website – we don’t mean to pick on them directly, except we do, as they are making money from fallacies. You’ll notice that the site offers the opportunity to become an independent distributor – an interesting perspective for such a medical marvel of a product (and if you feel that you need a good laugh in your day, read these protestations against nay-sayers of the product from one of said peddlers). We have no problem with anybody finding an opportunity to earn money working from home as some kind of entrepreneur, but this is an exercise in passing the buck, ensuring that disappointed consumers that fell for the sales spiel and receive no results have a wide variety of targets to express their anger toward. The day that genuine pharmaceutical giants such as Johnson & Johnson take on a similar approach is the day that such business practices will be considered respectable and appropriate. So, it’s increasingly clear that body wraps do not provide the services they claim, instead duping body-conscious individuals that are looking for a miracle cure. That’s understandable; losing weight organically is extremely difficult. It is, however, entirely possible by following all the steps involved in an It Works! body wrap, without the need to cocoon yourself in saran wrap or aluminium foil. Drink plenty of water, get plenty of cardio-centric exercise, and eat a carefully planned balanced diet. It may not sound as fun as a trip to the spa, but there’s nothing to say that you can’t re-enact that experience for yourself too; partake in the home pampering experiment we suggested earlier and you’ll feel amazing, especially if you combine the experience with mindfulness techniques. Regular exercise and healthy eating will also make you feel much better, despite any concerns that you’ll be making yourself miserable through deprivation – just think of all those lovely dopamines that will flood your brain when your heart starts beating faster, and before you know it physicality will become a part of your day that you look forward to. Try not to part with your hard earnt money without at least some investigation into the spurious amount of companies featuring in every health magazine or on the web. ‘Money back guarantees’ are not worth the paper they are printed on, particularly if the company in question does a Houdini style escape and cannot be found, as quite often can be the case. Postal addresses are generally vague or just box numbers, so that a disappearing act could not be easier.